Hello! 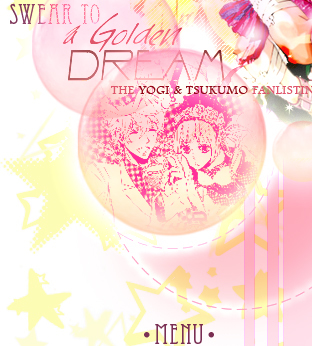 Welcome to "Swear to a Golden Dream", the TAFL approved fanlisting dedicated to Tsukumo & Yogi , two splendid characters from the series Karneval, created and illustrated by the talented Mikanagi Touya! They're close and there are a lot of reasons why we can understand that they're special for each other, especially the fact that there are adorable scenes for them, and chapter by chapter I love this couple more and more!! 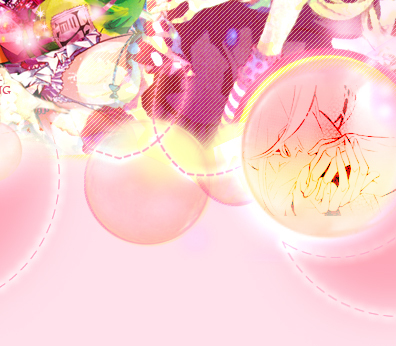 A special thanks to my dear Akira-chan, that scanned for me the image of Yogi and Tsukumo that I used for the background of the header~ Thank you very much, I love the most that image and I'm so happy to have the chance to use it to do their fanlisting!! Please, choose a link from the left to fully access the site, and if you're a fan of Yogi and Tsukumo-chan, feel free to join their fandom! reserved. Layout & contents are ©Dorothy.